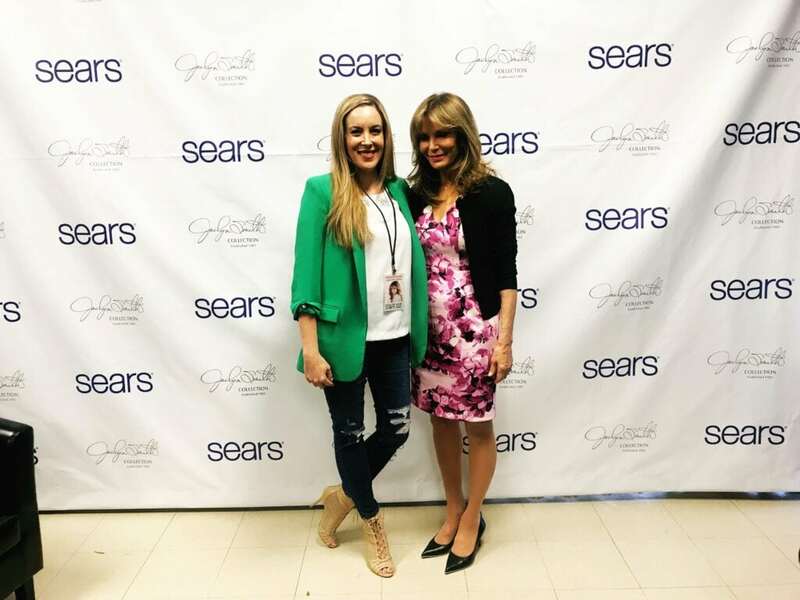 Last week, I had the chance to interview Jaclyn Smith about the launch of her latest Ready to Wear Fashion collection at Sears. I always love to have the opportunity to meet celebrities first hand and discuss why they decide to work on their business ventures. The passion that they feel for these projects are truly palpable! This Jaclyn Smith interview was no different. She’s been curating fashion clothing lines for women for more than 30 years. 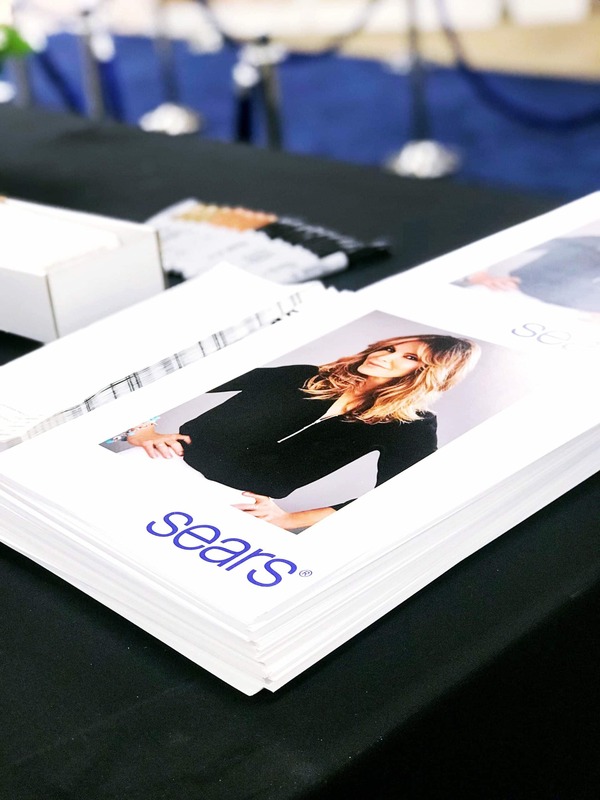 The ‘Jaclyn Smith Ready to Wear’ collection, which has previously only been available in Kmart, is available now with top items in select Sears nationwide and the full assortment at Sears.com, making the clothing line even more accessible to women across the country. The woman has a true love for this art. It’s never been about slapping her name on a label and calling it a day. Not even at the very beginning. You could tell during this Jaclyn Smith interview that this actress turned designer loved every stitch, every detail, and every pattern that was included in her line. I think I wouldn’t be here today if I hadn’t done the day-to-day work. It’s not about putting your name on it, it’s about being involved, and I’m lucky that I have a great team. All different ages from all over the world, all different points of view go into making it what we want and one point of view, yes I’m totally involved, but I love hearing what they think. I was wearing a little vintage leather jacket the other day, that I had gotten years ago. It is inspiring for a new jacket for fall, which they’re going to do, so I gave it to them, they look at it, and basically, it’s patterned. I’m a working mother, working woman. I’m all over the place multi-tasking, so I want it to be comfortable. I want the fabrics to feel good. That’s important to me now. Not only did I get a chance to chat with Jaclyn, but I also had a chance to shop her line. We will get to that in a bit. Before I tell you all about my take on the line, I want to highlight a few more quotes from my exclusive Jaclyn Smith interview. The team graciously gave me some time to chat with her and I dove right into the entrepreneur side of it all. As you know, I run a support group for women who are looking to grow their online businesses and go after their dreams. It is such a passion of mine! You need to educate yourself. You need to have a team behind you. Not only with the financial aspect, but in the design aspect. Where are you going, the location of your business – there’s so many of those things that go into saying, “Can you afford this?” What is your initial investment? What are you going to get back at the other end? I always think in a business you need five years to really see if it’s going to take off. Yes, things take off and then they might fall and then they might go up, but you need to give yourself five years to really see where you are and what your strong points are. I’m a believer that you need to be involved in the day-to-day. You need to think ahead. You need to think ahead if, oh okay it’s selling now, if it doesn’t where does that leave me. You sort of need to go to the negatives to see if you can survive the negatives. Because business is up and down and challenging as we know today. Life never stays the same and we have to be challenged with the times that we’re in, economically and politically. The day we scheduled the Jaclyn Smith interview was a special one! 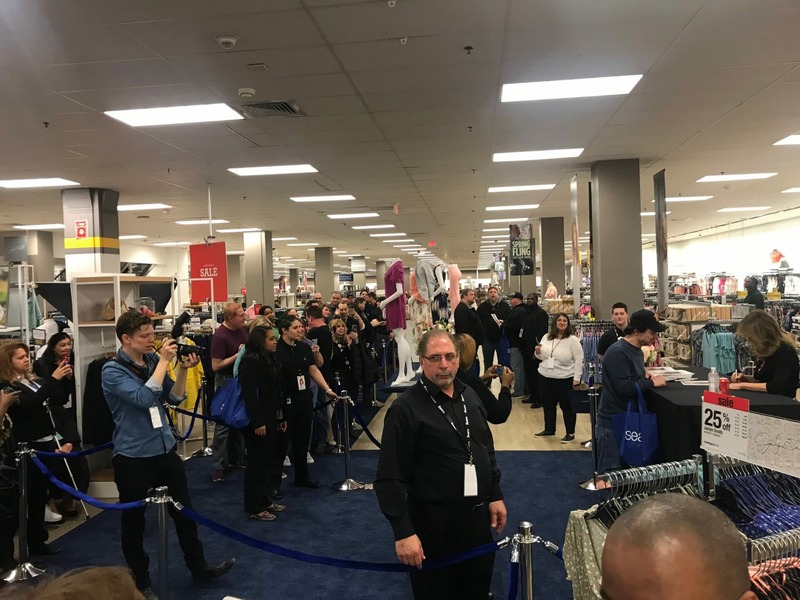 Sears opened up one of their stores to Jaclyn Smith’s fanbase and allowed them to line up and around and THROUGH the entire first floor for a full meet and greet. It was so exciting to see everyone waiting for their favorite Charlie’s Angel to make it down for a signing. I’ve been to quite a few of these and I will tell you that Jaclyn Smith did not rush through the line. She spoke to every single one of the people who wanted to meet her. She took every picture and signed every item that made it through the door. It was truly wonderful to see. 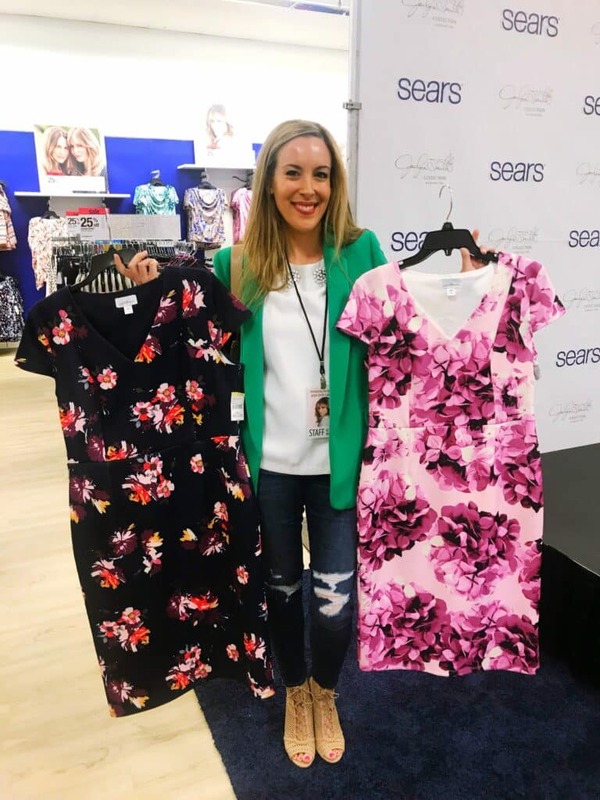 After the guests got their autographs, they were able to check out the Jaclyn Smith Ready to Wear Collection available at Sears. What did they find? A curated collection of classic, sophisticated clothing, with quality fabrics, and ease of fit. The theme was simple. 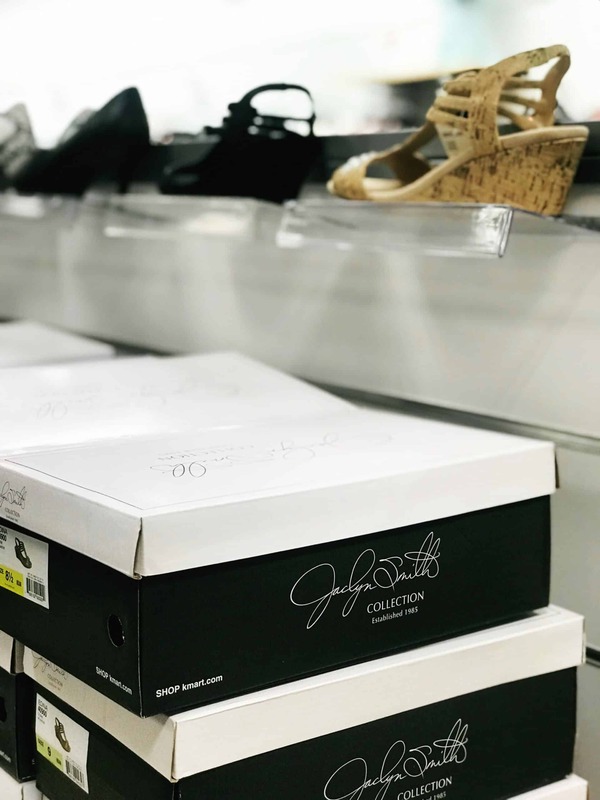 Jaclyn Smith wanted to make sure her customers felt their very best while wearing pieces from her clothing line. And she’s had some experience doing so. This designer is one of the first celebrities to develop a fashion brand, launching her Kmart collaboration and clothing line more than 33 years ago. So, let’s talk about what truly inspired Jaclyn Smith’s latest Ready to Wear Collection for Sears. Well, this was inspired by the California lifestyle. I wanted to incorporate very easy, very comfortable pieces with lots of florals, animal prints, and block prints. I used easy jersey pieces that could go from day to night. I think the goal of my collection is interchangeable separates, dress up, dress down. People go from day to night and don’t always have time to go home. I’m in one of my dresses from the spring collection, which is pretty lady like. I have it on with a pair of heels, but if I wanted to run around in the summer, I’d put a little sandal on with it and feel fine. It also comes in navy. I did a lot of capri jeans and then a mid-length short that you can roll up if you want for a tan. 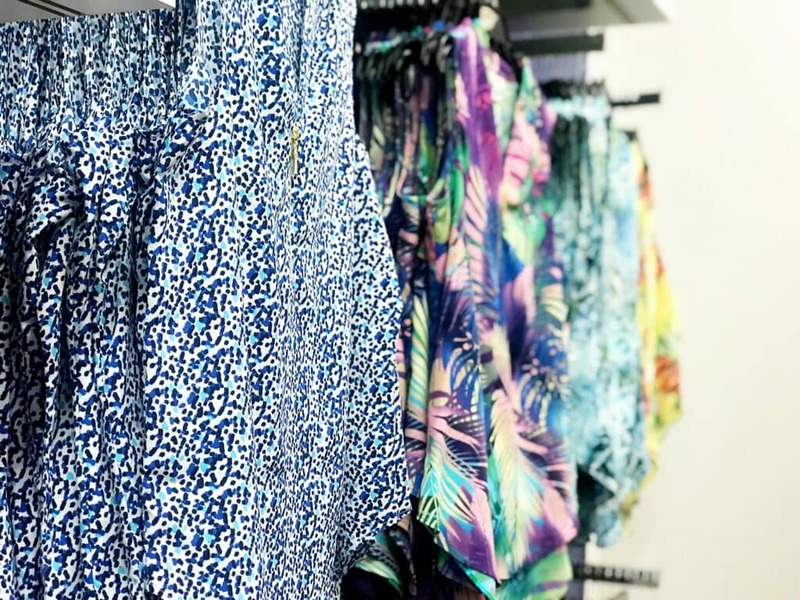 My blouses do really well – my slinky tees – because I think my customer feels they can dress up a whole new outfit with just a blouse or a tee. They feel good on the body. I have my utility blouse with a zipper that has been brought back by popular demand. So it’s very diverse, and what we want is for my customer to build a wardrobe to realize it’s not a fortune. You make it your own, whether you need to take up a hem, let out, or nip in. No matter what I buy, I do those little things usually, to make it my own. It truly really is all about making these pieces fit with your own personal style. I love that she really encourages that. Jaclyn Smith recently did a layette with her daughter. How wonderful, right? I have to admit that this section of her line was the most precious! The designs were just darling!! I asked Jaclyn what inspired her to add the new focus to her brand. Well, because my daughter had a little girl, Bee, and it was the inspiration behind the layette. She basically designed it. It was beautiful colors, soft fabrics, 100% cotton. Cotton blends. The touch, the feel of the fabric was very important to her. She used a lot of dusty colors, muted colors – not the candy pink and sky blue. Very subtle celadon and … it’s very sophisticated. 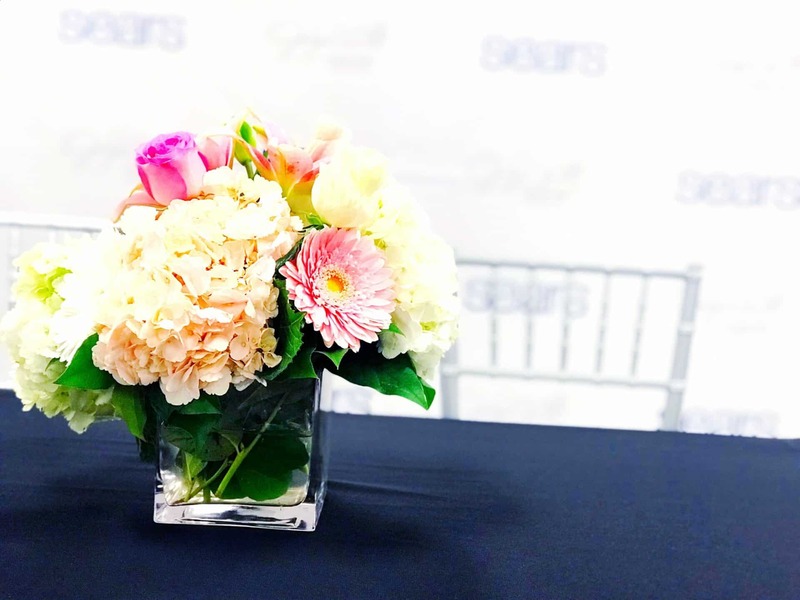 Moms with little babies – get to Sears! Everything is so darling!! I cannot emphasize this enough. They also make great gift ideas. The bundles are perfectly packed. You almost don’t even need to wrap them. By the way, here is the exact dress that Jaclyn Smith was wearing during our interview and as you can see – it comes in pink and in navy blue! You can choose either option. I adored the way it looked on her and I am absolutely going to purchase it for my mother as a surprise for Mother’s Day! But for me… I had something else in mind. Right away, a patterned blaze caught my eye and I snagged it right up! I also bought a coral shirt and navy pants. Triple score!!! Here’s my complete look. Want to create an outfit of your own? Now you can because I am giving away a Sears $100 gift card. How fun! Simply use the form below to enter. Contest will stay live for one week. US residents only. You can also visit my Instagram account for a bonus entry! Leave a comment and like this picture as an extra entry. It is absolutely not mandatory to do. This contest is in no way affiliated with Instagram. It was such a pleasure to meet Jaclyn Smith. I can’t wait to continue to follow along as she continues with her fashion adventures. To check out a few more pictures of the day, see below. Be sure to watch the full video interview to hear these quotes coming straight from Jaclyn Smith! She is truly an angel! So pretty! I love all of the florals for spring! I love it! Especially the florals! I like how the fabric is soft and I can find pieces with 100% cotton. There are so many versatile pieces. I’d love to get some new items to add to my wardrobe! Love Sears! Thanks for the chance! The new collection looks simply amazing. I see quite a few items for gifts to others and few things that I would love to add to my wardrobe. I love the line. 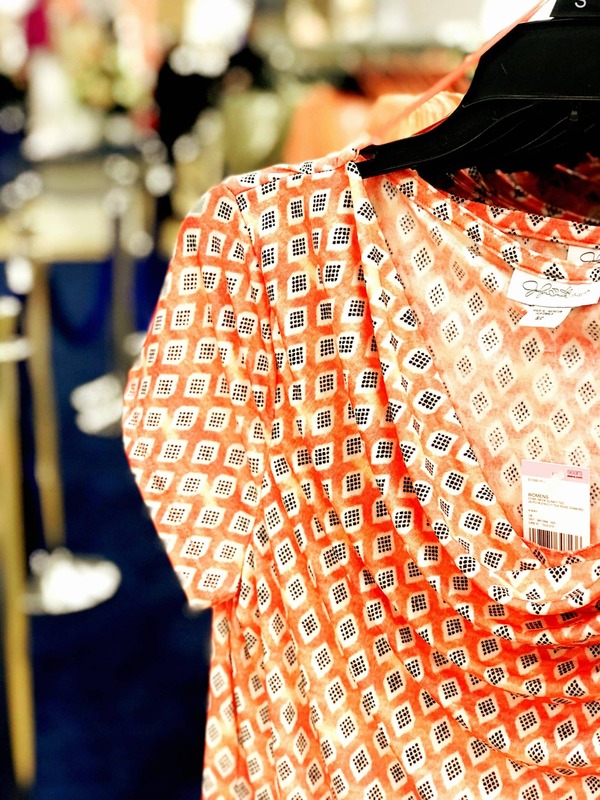 The patterns and colors are pretty and the clothing styles are on trend. I love all the colors and designs. These are perfect outfits to wear to my job. I absolutely love the floral pattern clothing. i like the colors and patterns they used. Always have liked her style and the collection created under her name – but for an extra tall person – most items just don’t fit correctly on me. Classy and affordable! Very good collection! I love it! They are very well tailored, and it definitely seems like a collection I would feel amazing wearing. I didn’t realize how nice the Jaclyn Smith collection is. I’d not though of shopping @ Sears for clothing. We buy other things there though . Now I will look for this line of clothing when I am there. I really love the Mix and Match designs and of course the affordable price. My wife and I love the line, they are so great! Really bold colors! Lots of nice jewel tones. I really like this. Sweet! I love it! There are so many cute things to choose from! Love the different colors and styles! My wife and daughters would love some of your clothing. Very nice. I have seen the collection at Sears and have even purchased a few pieces. I appreciate the style and quality at such reasonable prices. I like the classic look of it. I like the bright colors of the new collection and the fact that it would be easy to mix and match the different pieces. Love it so much and I love shopping at Sears! Graet. Some thing for every one. I absolutely love this collection. The colors go together wonderfully and would something I would wear. I love Sears. Such a wonderful selection! Something for everyone! I love this collection. I love the spring colors and the flower designs. I love the quality of clothing from Sears. I like how bright the fabrics are. I especially like the dress Jaclyn was wearing. I love the bright colors in the collection. Jaclyn’s dress is great! I like the collection, especially the bright colors. i love this collection. i’ve always loved jaclyn smith, what a classy lady! It seems very nice. I don’t have a Sears near me, but next time I’m near one I will check her line out! These are great wear anywhere styles. I love it! It is so pretty and bright. I love this collection! It looks very chic yet very professional. I love the bright colors! I love it, great colors for spring! The collection is nice. I love the florals and they look so professional. Love the collection very pretty and stylish love the bright flowers. I think the collection is smart and stylish and priced for everyone’s budget!!! Love this collection. There are some nice pieces. I like that it is colorful! I like it, and already buy Jaclyn Smith’s clothing line. everything is so pretty. Love her clothes. I think the collection is very nice. It’s difficult to find affordable and stylish fashions these days. Thanks, Sears. I love the collection, its very stylish! Cute, and well cut/fitted for a mom’s body. I love the collection! The colors are perfect for my taste! I like the collection. It has lots of options. I love the collection. Very pretty & definately clothing that I would wear. So bright and I love the colors. Love it. Always has nice collections. I think it looks great and Jaclyn Smith is a great spokesperson! I like that it’s full of nice vibrant colors and patterns! Very nice and classy line! I love this collection there is always something nice to buy. I am loving the colors of this collection. It looks comfortable and would be able to wear most of the time. Just what I am looking for. Nice!!! I love the colletion very classy! The Jaclyn Smith collection looks like something I would buy & wear. The collection is very feminine. 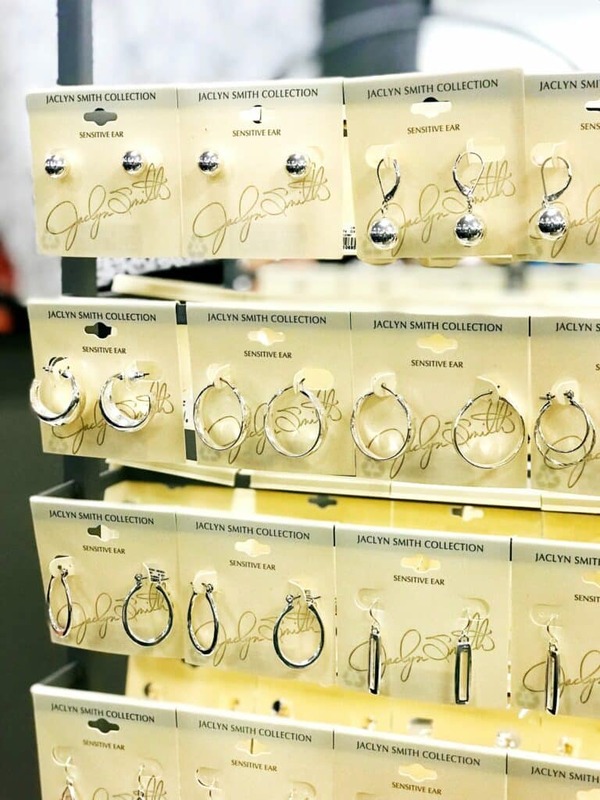 I’d like to see gold-colored and multi-colored earrings though and not just silvertone. I really like the colors and fabrics in this collection. It’s not my style. I’m more Hippie/Boho look. I love the collection! Great colors! I love the new collection. I love the great colors. I’ve always liked the designs Jaclyn Smith has for the clothes and these wonderful. Thank you for the giveaway! I think it is a great collection. Very stylish and affordable. I think the collection looks amazing, very classic stylish clothes that are affordable. Love I think love all the bright colors!!! Might not be my particular style but I do really like the use of patterns and the variety of mix and match options and I always love a good pair of hoop earrings. Love the collection may have to try it out for myself, thanks for the chance to win! I love the vibrant colors and designs. A definite plus in the fashion selection at Sears! Overall, I like the collection – nice colors and designs. I really love the collection its colorful and sayes Summer to me I also really like the Sensitive Ear earrings what a great idea . I think the collection looks classy and colorful! I like the collection! I’ve found that Sears has a lot of attractive business clothing, which is what I’m on the search for at the time being. Super cute! love the colors and how easy it would be to wear! I sure miss having a Sears around here! I have found many beautiful items over the years! Love it! I love the color scheme. I love the collection. Great colors and styles to choose from. I think they r super cute! I love the colors! The collection is beautiful. Time to update my Spring wardrobe from Sears! So pretty and classy. The lynette pictured are beautiful. I really like the floral dresses! I love anything pink or floral. I should pop in to Sears since I have one only 5 minutes from my house. I have to be a downer and say I don’t really like the collection. I’d actually wear these clothes! I think the collection looks trendy but professional. Definitely something I’d check out! I love this new collection! It looks like it fits all the shape and sizes of women today. I love this collection! It’s stylish, casual and fun all at the same time. Love, love, love the earrings because they are simple. I love it! There are so many pieces that can be interchangeable to create multiple looks! Oh I can’t wait to see the whole collection! That blazer caught my eye also! I love the collection its bright its beautiful and its perfect for spring and summer! I love bright colors ! I really love it. Very stylish! I really like the colors, prints and styles! Thanks and God Bless! Very colorful and cute. Looks comfy, yet stylish. I love all her styles. Affordable and stylish. I really love the colors, i like the collection. I like the rest of the outfit, but I’ve never been crazy about Capris. But the entirety of the outfit is nice and very put together looking. The clothes are cute, but not really my style. I LOVE the earrings (I love my jewelry). Very nice. Everything looks stylish and Springy. I love the look of this collection and the colors are amazing can’t wait to check it out at Sears. I love the collection. 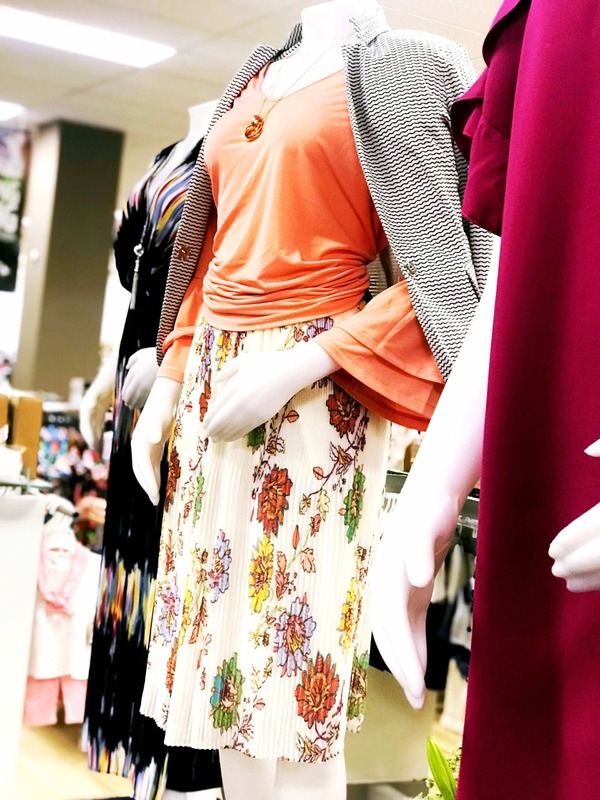 The flowers on the two dresses and skirt make then great for Spring. I love their spring styles and colors..that reminds me I need so spring clothes. I like the look of this collection. I think the collection is very classy and well put together. Definitely a pieces I would wear! The collection is gorgeous! Lots of fun colors and patterns! I like it I think it is perfect for spring. I think it is lovely.The prints are bright &beautiful. Very stylish! I need some new pieces for my summer wardrobe. It’s really lovely. I’ve always liked her style. i think the collection is so pretty! i love it! The clothes look great. I like the collection. I love this line, it is all absolutely beautiful. I will have to check it out! Everything looks great, but I especially like the baby stuff! I love her clothes and would love to win. If I win, I would definitely buy her clothes for the summer. This would be such a blessing!!!! I like the bold print dresses! It looks both practical and fun and colorful. I think the collection is very nice looking and I love the colors. I think this collection is much more stylish than what I’ve seen at Sears in the past. I haven’t shopped at Sears in awhile, but I’m going to look for this collection there soon. I have always loved her and her clothes. They are pretty just like her. This collection is amazing. I love it!! I love the collection. I will definitely wear it for work. The clothes look very nice and stylish. Thank you for the giveaway! I love how colorful the collection is, so perfect for spring. I think the collection is great! Pretty pieces! I think it is great. I could wear so many of them to work. I love all the floral prints! I’m a sucker for floral patterns so this is awesome. It’s actually quite stylish and reasonably priced! I like how colorful the collection is. My favorite pieces were the Layette she made for her Daughter. Very cute. I like all the bright colors. Perfect for spring and summer! I love the collection! It is so colorful and It would look great on me! I am a big fan of Sears and Kmart! I love this collection it’s so colorful and pretty! I love the collection — especially the florals. It is a very colorful and fun style collection. The collection is super cute and really professional looking. 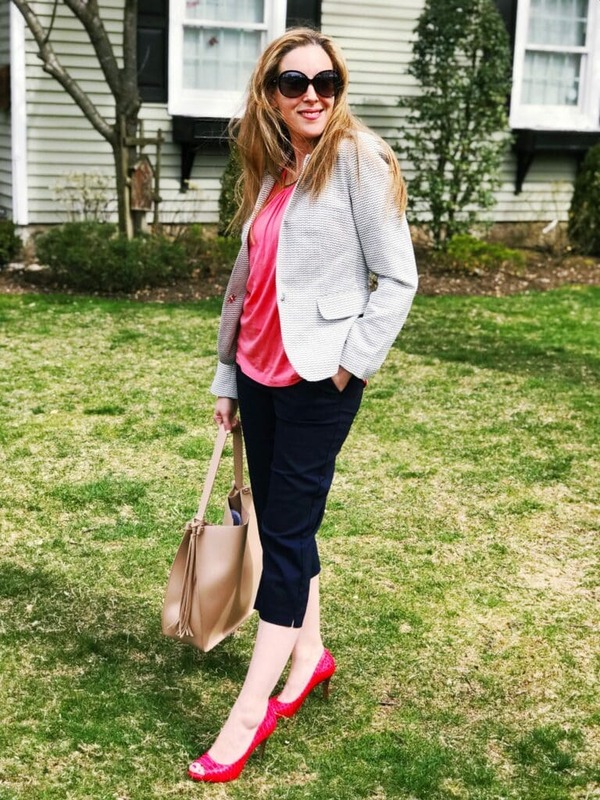 Great items to wear to work! I love the collection and would totally rock it. Love all the pieces that are pictured, including your ensemble. I would really like to have the navy blue capri pants and the blue dotted sleeveless blouse. Interchangeable separates, knits to dress up and dress down, to be comfortable are descriptions of this collection and fit my lifestyle and choices perfectly. I had no idea she was the first celebrity to have her own line and that its been 33 years since she first began doing so. It looks like a winning collection. I really like this collection. I love how cute the clothes are and I can’t wait to see more of this collection. My eyes are feasting on so many nice things!! I adore the dresses and tops, and I didn’t know Jaclyn Smith has accessories, too. I need to shop Sears! Nice looking pieces. I would like to have the printed blazer — cute! I think its stylish and looks comfortable. Which I love! It’s so colorful, bright, and positive! I have always enjoyed shopping at Sears and love all the pieces in the collection. Very pretty. I love the colors perfect for spring. The collection sounds great I can definitely see some items that I would like to try. I think that the collection is nice. I think that my wife would like it. I like the coral shirt and navy pants! It’s an interesting collection. I can see pieces that would fit me well, especially through Spring. It’s nice, but I REALLY want to see good quality, flattering plus size clothing. Plus size is either so expensive it’s unaffordable or so cheap it belongs in a trash pile. I’d like clothes that have a tailored look, not tents. Something I can go to work in and still feel fashionable. Why is this so hard? And, can we see the Plus size clothes on actual plus size models? Not size 12 girls? I love the bright colors and fun cuts. I think the collection is beautiful. I loved everybit of it. These outfits are so nice for work date nights on the go anywhere I would be honered to wear some of them. This is a really nice collection — love the earrings and dresses. I think it’s a nice collection. I think it is nice. I like the coral top and skirt in the top photo. I think the collection looks very classy and Springy!! Lovely collection. Very stylish. I did not know Sears had her clothing line. I think it’s all very pretty! I think the collection looks really nice. I like the dress she had on. I don’t wear dresses very often but I think I’d wear that. I love the collection. I think it goes great with spring! I love the colors and prints. There are some great work outfits in the collection. Nice collection! I love the light orange top with the black and white designs. I have been shopping for new tops. I was at Sears last week and didn’t see the Jaclyn Smith collection, but I shop there regularly so I will look for it! I love it. The colors and prints are really pretty. I think Jaclyn Smith has great taste, her clothing is beautiful. I like that it’s interchangeable! So cute! It’s a lovely spring ready collection. I see some great work outfits in there. I really like the blazers and I wear a lot of them and these were quite pretty. The collection is definitely my style. Classic and sophisticated. 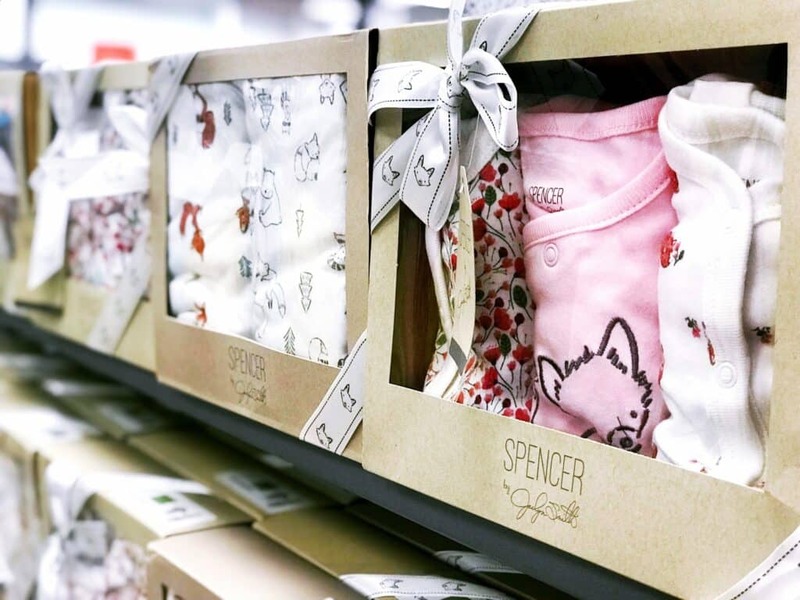 The baby layettes are darling and would make the best baby shower present. Thanks so much for this great blog post and giveaway! I love this collection. I love the styles and colors. I also like that the clothes are affordable. I think it’s great, especially because the pieces are interchangeable and look comfortable. The collection is really nice, especially the baby layette. Great collection as always. I have many of her clothes and love them. They look like styles my mom would enjoy. I’ve loved Jaclyn Smith’s clothes for many years!! I think Jaclyn Smith’s collection is very stylish and unique. My mom always buys her clothes when she shops at Sears. They are so cute! I could see myself gettin them for my friend. I need to check out the collection in person! I didn’t realize she had a clothing line there now. Some really pretty things that I could see myself wearing. I like it, perfect for people like me. I think the collection is very chic. Looks like a fresh fun collection! I think the pieces are fun and feminine! I love them and think they’d be a great addition to my summer wardrobe. Will make perfect gifts for my SO! I absolutely adore the collection. So many great ideas for spring. I love the collection. It makes me very excited about the upcoming spring season and how clothes seem to come to life after a drab dark winter. Unlike many recent collections of styles, these look like something I would really like to wear. I love the collection. It has many beautiful colors. I love the new collection! It is so pretty and chic.. but also looks comfortable and practical! I really like the blue and black capris. Love the collection! Thank you! I like the collection. It would be flattering to all ages. My mother is absolutely in love with the designs! She has taken a particular liking to the sophistication and honestly? – I agree with her. These are some great fashion choices from Jaclyn Smith. I never realized she had jewelry like those earrings before. Pretty!!!! I think they are nice. I love her clothing. I think this is a nice collection, nice style. I think the collection is great. I like that it is affordable. Love The Spring Collection !!! The Prices Are Very Affordable !!!! I am excited for the collection because they closed all the Kmarts in my area. I have always liked her clothes and the style they represent. I bought them at Kmart and see no reason to stop. Very nice clothes. Great for Sears and great for me. I love all the really vibrant colors in the collection. I’ve always loved JACLYN SMITH all the way back when she was selling her stuff at Kmart. I think that the collection is very excellent because it is so chic. I love the Jaclyn Smith collection. The clothes are really pretty. Thanks for having this contest! The collection is amazing. My wife is all about it. I think the collection looks very chic. Love this collection, so pretty. I’m already a big fan of Jaclyn Smith collections. But you have a great sense of style yourself and i loved everything you picked out and showed on here. Also, thanks for the chance to win as well. There are some really great pieces in the collection. This looks so comfy and cute! Great collection. Great collection. Love the colors. I actually like the Jaclyn Smith collection. There are many pieces from her collection that I wear and add a bit of my spin on the outfits and clothing. It’s a great collection. I have found a lot of great finds at Sears! I think the collection has a bright and cheery look about it which is appropriate, especially with the warm colors available for this Sping.